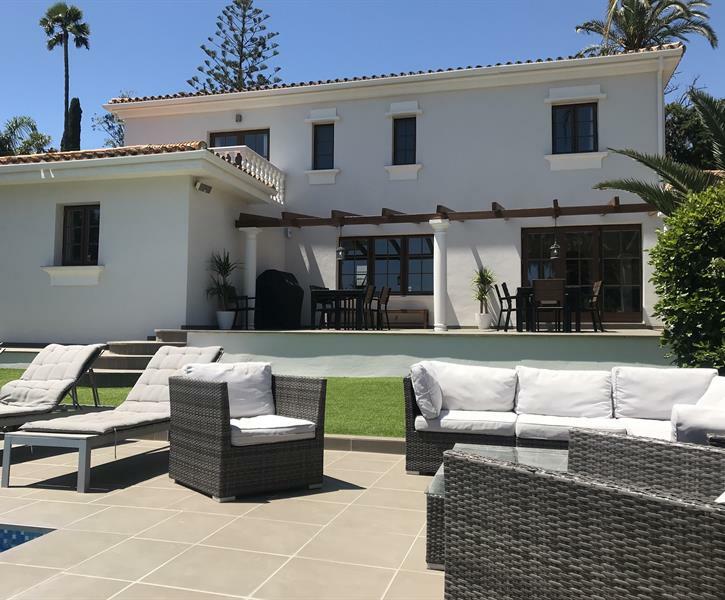 Beautifully refurbished villa just 10 minutes walk from Puerto stunning and contemporary holiday villa with private pool is set in the popular destination of Puerto Banus. Had a fantastic stay in this immaculate villa with all our family. Everything we expected & more. We left with great memories. Pool & outside space were perfect for a very relaxing holiday. Disappointed that some appliances didn't work and took a week to fix! We all loved the villa, bigger than we thought and loved the decor. Ideal location and loved the outside space. Negatives would be lack of instructions for alarm system, tv, white goods etc. Also sunbeds could use an upgrade. And lack of placemats etc for dining in. Overall it was a lovely house and we thoroughly enjoyed our stay.